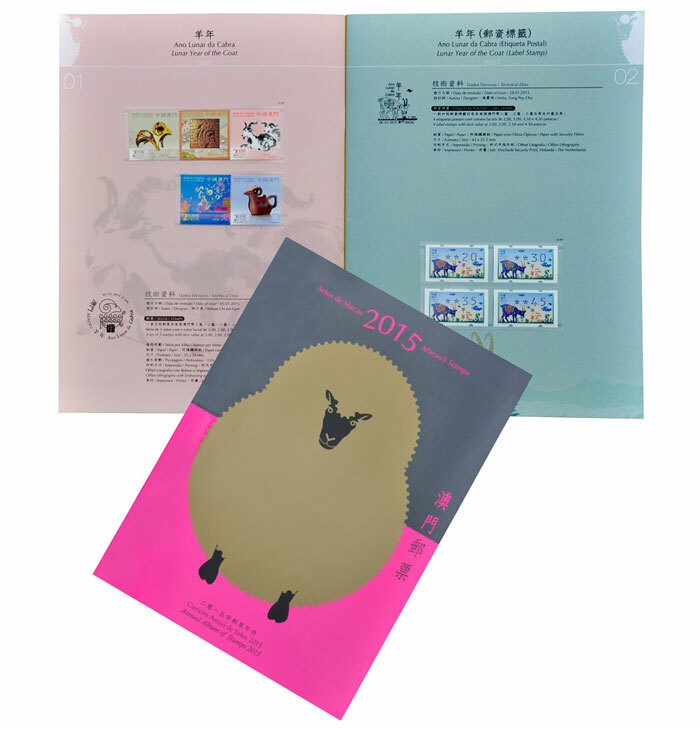 Macao Post will issue two annual albums on 18th January 2015, which are “Annual Album of Stamps 2015” and “Annual Album of Souvenir Sheets 2015”. Their covers are printed in fluorescent orange and fluorescent pink respectively, and illustrated with a drawing of goat in gold, on which the technical data are printed on the pages. 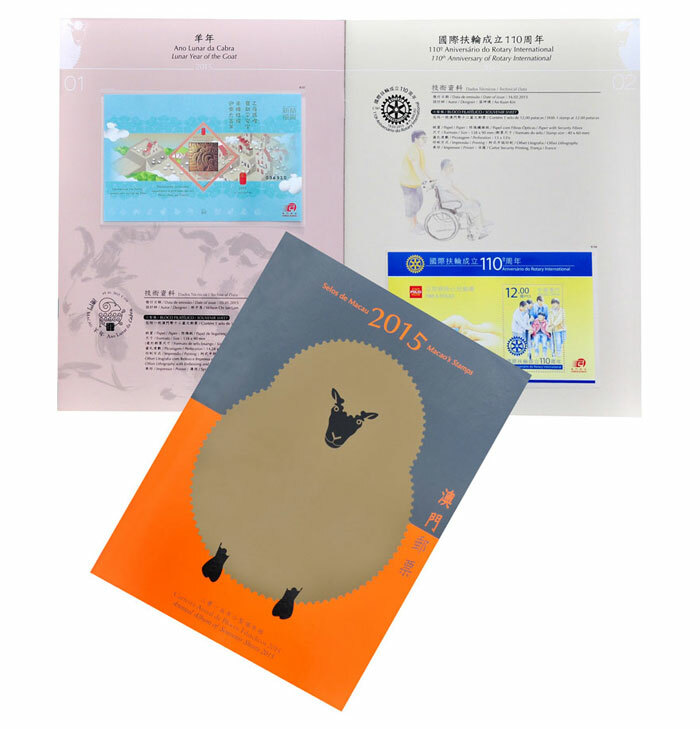 The Annual Album of Stamps comprises the full collection of 17 sets of stamps issued in 2015, each album priced at MOP260.00; the Annual Album of Souvenir Sheets comprises the full collection of 10 souvenir sheets issued in 2015, each album priced at MOP180.00.